Merkel’s center-left challenger, Martin Schulz, conceded that his Social Democrats had suffered a “crushing election defeat,” with projections showing the party’s worst performance in post-World War II Germany. Schulz’s Social Democrats were trailing far behind, with just under 21 percent support, down from 25.7 percent in 2013 and undercutting their previous post-war low of 23 percent eight years ago. AfD won just over 13 percent of the vote, according to the projections. It was followed by the election’s other big winner — the pro-business Free Democratic Party, which returned to parliament after a four-year break with about 10.5 percent. The Left Party and the traditionally left-leaning Greens won about 9 percent support each, completing a parliament that now has six caucuses rather than the previous four. “We can’t just ignore these 13 percent or more for AfD in a national parliament with international significance,” said Reiner Haseloff, the conservative governor of eastern Saxony-Anhalt state, where AfD is strong. Outside AfD’s election party in Berlin after the results were announced, at least 500 protesters shouted “all Berlin hates the AfD,” ″Nazi pigs,” and other slogans, while several protesters threw bottles as police kept them away from the building. 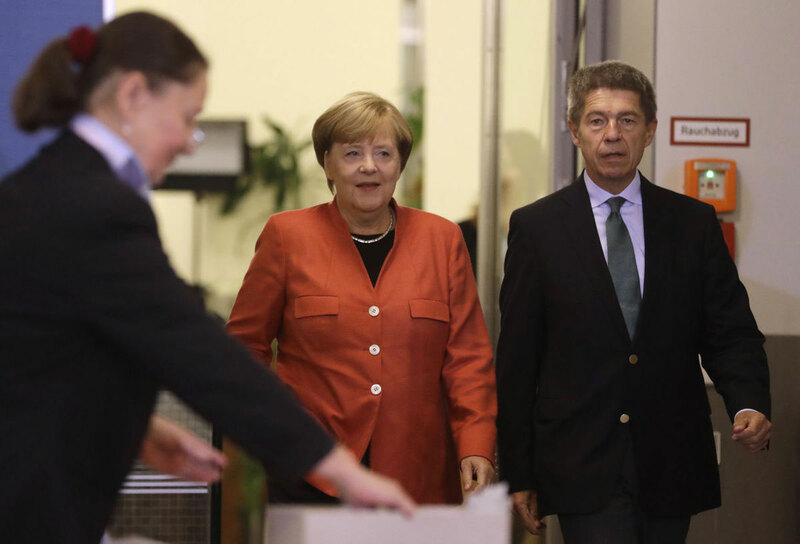 The latest: Angela Merkel Wins Mandate For 4th Term Despite Diluted Support. German Chancellor Angela Merkel has been re-elected while nationalists rise.